Memorial Day was a lot about community, thinking about our shared lot as humans. At my lunch meeting at Noho's (Clinton & SE 26th) the conversation turned to solitary confinement and the damage that does to people. Our last ISEPP speaker had mentioned wanting to learn more about what's up with Colorado, where the percentage of prisoners in solitary is relatively high. Yet our brains are built to help with collaboration. We're great at being synergetic, given half a chance. Meliptus is river-worthy again, after months out of commission. We had a vet with us on that leg, and a conscientious objector, best of friends. Stopped by the gas dock. Watched some workers pull up a lost anchor. 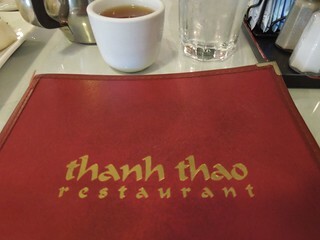 I got back in time for dinner with Carol, Alexia and Tara at Thanh Thao. The service and food were excellent as usual. We also like Fujin, further west on Hawthorne. Trevor later filled me in on the upcoming Xoxo event at the Yale Union Laundry Building. He also showed me how to use Tonido WebShare. The tool set is evolving quickly. We must not have a lot of time left to dilly dally in faux stupidity. I snored in Meeting on Sunday. Embarrassing when that happens. Pam yanked me back to consciousness. I'd bicycled over around 8:15 AM, having chauffeured an MVP to the airport again (routine comings and goings). Yes, that was Steve, former PSF chairman. Michelle was over the night before, helping brainstorm about OpenDjango. She thanked me again for nominating her to the PSF and said she'd read the thread about it in the members only archives. Michelle and her husband are both skilled webbies, though in different ways. This was the day of Portland's half marathon and many streets in the vicinity were blocked. People came late (they do anyway -- Worship and Ministry is working on it, perennially). At est if we weren't on time we got confronted and asked to look into our lives. People were wanting to be called on stuff, to be confronted. Some people have jobs where most the feedback gets suppressed -- especially bad around dictators and emperors, which may be why they get so dorky so fast, once ensconced. Don't let them crown you, is good advice. They're just abdicating their responsibilities and making you a convenient scapegoat. Partly why I bicycled over was to participate in Sunday Morning Adult Discussion (SMAD), an institution for Multnomah Meeting going back many years. We used to read entire books, such as Perennial Philosophy by Aldous Huxley, but we're more free wheeling today. Denny was through, from Shang Hai. He gave me a cap with Shang Hai in English and Chinese. This was the day Multnomah Meeting was to approve his membership, our clearness committee having recommended same to last month's meeting. Today I had lunch with Mr. Aris, and dinner with Ms. Brenholtz and Ms. Urner. Carol joins us in less than 24 hours, coming from St. Louis, by way of Chicago. Her boxes have arrived from LA. Some long time readers of this blog know that I spend a lot of my time connecting to a small server farm in Illinois, where I plow with my "OST tractor", planting seeds, sewing, tending, reaping. A job. This used to be NetMath, connected to the University of Illinois, than acquired and moved to Sebastopol. Our leading lights are the Grays. The staff is spread out. Sometimes we send "OST moles" to conferences, recruiting students and faculty. We hang out on Skype and have a faculty lounge on Facebook for round the water cooler conversations. When we get together, we do Show & Tell. Bruce shared limericks and sang the blues for the Grays' dog, Wilson, who recently died. KB1 shared about her food van / bizmo, for sale on eBay. 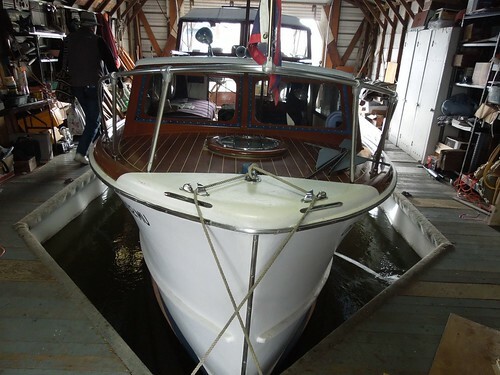 KB2 shared about her boat slip, currently sublet while she works on the boat angle. Steve showed slides from Brazil. I shared my opening slides from Occupy Portland, celebrating FNB's central role. Lorri mocked the genre with her "favorite candle" presentation. Mostly we do a lot of planning, comparing notes, future visioning. That's what lots of companies do, including other schools. Ours uses quite a bit of technology, in order to provide students with a learning experience. The old idea of a "correspondence school" comes to mind, with the Internet making everything run faster. Trish remarked on my Nirel-brand cuffka, a standard part of my costume these days. She's a performer and shared a clip of one of her roles in Guys & Dolls. Some of our crew are avid players of Settlers of Catan. I studied the rules for this language game, but am doubtful I would prove victorious against such serious players. Debra won her round though, and she had not played before. More different kinds of commercial was what the Hunger Project was about. We're conditioned to respond within a sphere of familiar insignia, from stadiums to airport concourses, but where is the brand about ending hunger? Are the big religions really leading that charge effectively? Governments? Enter Food Not Bombs. Stop the waste. Close the loops. The FNB event near Oaks Park was not any of my doing. Lindsey checked it out and I'm not begrudging anyone's participation, just trying to put limits on what Blue House gets credit for. I've got my curriculum writing, Lindsey her music, everyone else has moved digs, except of course family members, soon to increase in number. Carol is involved in many a global network, including WILPF's, which have proudly included Ava Helen Pauling among others. Linus Pauling is a local hero, a symbol of so much that is best about people. Carol has been bearing a pretty bright torch. I look forward to hearing more about what Linda Richards has been up to. Trevor's book on Portland Memorials has the Walk of the Heroines at PSU, where mom's name is memorialized, with those of others she knew. Death from malnourishment: a broad spectrum of conditions, including simply a lack of good food, but not limited to that. Eating to much of the wrong thing will take their toll. You may not know how to shop and live affordably, adding unwanted pounds simply for lack of easy-to-acquire skills, but who has the time. You have your own treadmill. "Variations in routine" sound like a cake walk when you're not stuck in a rut. In our distance education model, you can start and stop at will, with no metronome set by some meeting of "classes". The concept of "attendance" is muted. We inherit from the correspondence schools, but in some sense that's just a mixin parent class, not our root. As a metaphor for life we each "build a portfolio" and to some extent authentication is of concern i.e. is this really your own work? The question has to do with expected results, along with unchallenged claims. "Any liens on the property?" the lawyers might ask? Even easements can be a problem. As Chris, one of our newer Wanderers points out, so-called successful people are not really "self made" so much as produced by others. This jibes with my own experience of co-dependent origination, the core dharma of many a Buddhist sutra. You'll have had your champions and been a champion for others. In Homer Davenport's case, the Arabian horses brought him reflected glory, a two way street. Your champions aren't always humans. David Koski, myself, George Hart, other members of the Poly list (which I am not on), are all registering respect and positive sentiments towards the late Mario Marin, a pioneering artist. It is with sadness that I also join all other members of our polyhedral list on the death of Mario. He certainly will be remembered for his profound contributions to the lore and lure of polyhedral creations. writes Magnus Wenninger, another great in that ballpark.